Because it is so long, I took the following essay by Lew Hill and bolded what in my opinion are the key words, in order to facilitate my understanding of it. If you don’t need it please try to ignore it. 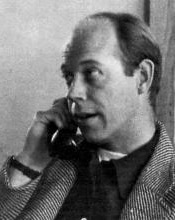 While studying at Stanford University in 1937, Lew Hill became interested in the ideas of the Quakers and became a pacifist. When he was drafted in 1941, he registered as a conscientious objector. In 1945, Hill resigned from his job as a Washington DC correspondent and moved to California, where he founded the Pacifica Foundation. He served as Pacifica’s head until he died in 1957. We seem generally to ignore, when we criticize radio, the moment and situation in which someone actually broadcasts. I refer to the person who actually opens his mouth or plays his fiddle. I mean to include also the individual who holds the stop watch, the one who writes the script, and perhaps the man who controls the switch. And I am definitely referring to these individuals as individuals–for after all, willing or not, they have that dimension. Now these are the people who actually start the production that comes out at the other end. Even if someone else has decided why there should be a broadcast and what should be in it, these are the people who make it. 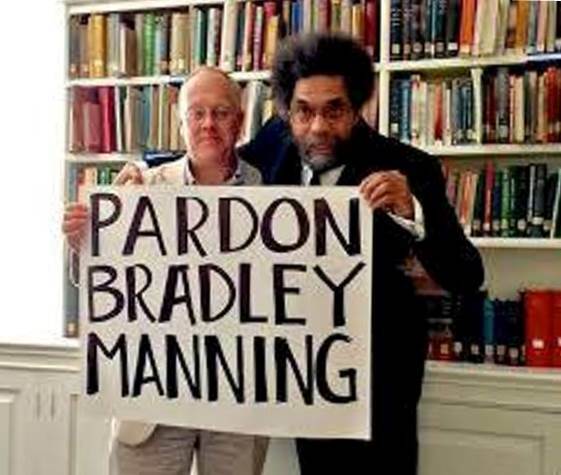 Yet we never hear these people mentioned in any serious social or moral criticism of American radio. They do not appear in the demonologies of the advertiser and the mass. They constitute most of the radio industry, but are perhaps the last people we would think of in trying to place the fundamental responsibility for what radio does. This curious fact reveals more about the problem than any number of surveys of public taste and advertising venality. And this is the point at which our theory has to begin. We start with the forgotten man of broadcasting–the man who broadcasts. Let me instance the announcer, not only to seize the simplest case, but because he will serve as the gross symbol for the writer, the musician, and all who try to make a living in the program end of radio. You will recall without difficulty, I hope, this fellow’s nightly solicitude toward your internal organs. In his baritone way he makes a claim on your attention and faith which few of your closest friends would venture. I know of no better explanation of this man’s relation to you, to his utterances, his job, and his industry, than one of the time-honored audition tests given to applicants for announcing jobs at certain of the networks. The test consists of three or four paragraphs minutely constructed to avoid conveying any meaning. The words are familiar, and every sentence is grammatically sound, but the text is gibberish. The applicant is required to read this text in different voices, as though it meant different things: with solemnity and heavy sincerity, with lighthearted humor, and of course with “punch.” If his judges award him the job and turn him loose on you, he has succeeded on account of an extraordinary skill in simulating emotions, intentions and beliefs which he does not possess. In fact the test was especially designed to assure that nothing in the announcer’s mind except the sound of his voice–no comprehension, no value, no choice, and above all no sense of responsibility–could possibly enter into what he said or what he sounded like. This is the criterion of his job. America is well supplied with remarkably talented writers, musicians, philosophers, and scientists whose work will survive for some centuries. Such people have no relation whatever to our greatest communication medium. I have been describing a fact at the level of the industry’s staff; it is actually so notorious in the whole tradition and atmosphere of our radio that it precludes anyone of serious talent and reasonable sanity from offering material for broadcast, much less joining a staff. The country’s best minds, like one mind, shun the medium unless the possessor of one happens to be running for office. Yet if we want an improvement in radio worth the trouble, it is these people whose talent the medium must attract. The basic situation of broadcasting must be such that artists and thinkers have a place to work–with freedom. Short of this, the suffering listener has no out. It may be clearer why I indicated at the outset that listener sponsorship involves some basic concerns. This is the first problem it sets out to solve–to give the genuine artist and thinker a possible, even a desirable, place to work in radio. Unfortunately it will not do to go halfway in the effort. Many have tried. The story of American radio is sprinkled with episodes in which some ambitious producer, momentarily out of touch with reality, has tried. These episodes remind me of someone’s recent comment about purchasing a house under the Federal Housing Administration. This, he explains, is a system which makes it possible to convert an imaginary equity into a vested illusion. There are still in the industry many a frustrated idealist, many an embittered artist, whose last efforts foundered in the sales department, but who hope someday to own a program. Since our first object is to avoid that chronic industrial frustration, we have to give a somewhat elementary interpretation to the idea of freedom in radio. The answer of the KPFA project on this point is not necessarily the only good answer, but it is explicit. It requires that the people who actually do the broadcasting should also be responsible for what and why they broadcast. In short, they must control the policy which determines their actions. If I may, I will emphasize that neither a “Public Be Damned” nor a “Down with Commerce” attitude enters into this formulation. The problem was, you remember, not whether you as a listener should choose what you like or agree with–as obviously you should and do–but how to get some genuinely significant choices before you. Radio which aims to do that must express what its practitioners believe to be real, good, beautiful, and so forth, and what they believe is truly at stake in the assertion of such values. For better or worse these are matters like the nature of the deity which cannot be determined by majority vote or a sales curve. Either some particular person makes up his mind about these things and learns to express them for himself, or we have no values or no significant expression of them. Since values and expressions as fundamental as this are what we must have to improve radio noticeably, there is no choice but to begin by extending to someone the privilege of thinking and acting in ways important to him. Whatever else may happen, we thus assign to the participating individual the responsibility, artistic integrity, freedom of expression, and the like, which in conventional radio are normally denied him. KPFA is operated literally on this principle. Well, then, who in present-day America might be expected to permit such a broadcasting group to earn a living at it, and on what terms? I have already examined the problem of getting the creative product on radio before we worry about how it is to be evaluated. It must have occurred to you that such a principle could easily revert to the fabled ivory tower. Some self-determining group of broadcasters might find that no one, not the least minority of the minority audiences, gave a hang for their product, morally responsible or not. What then? Then, you will say, there would be no radio station–or not for long–and the various individualists involved could go scratch for a living. But it is the reverse possibility that explains what is most important about listener sponsorship. When we imagine the opposite situation, we are compelled to account for some conscious flow of influences, some creative tension between broadcaster and audience that constantly reaffirms their mutual relevance. Listener sponsorship will require this mutual stimulus if it is to exist at all. KPFA’s present air schedule is a modest example. It embraces four main categories–music, drama and literature, public affairs, and children’s programs. The schedule has two sources in almost equal balance as to their importance and influence. On the one hand, these happen to be subjects of primary interest to people working at KPFA. On the other hand, they happen also to represent the articulate interests of well-defined minorities in the audience of the San Francisco Bay Area. The correspondence is not accidental. A constant exchange between the staff and the audience enriches the schedule with fresh judgment and new ideas, materials, and issues. Thus members of the staff work out their own ideas and, if you like, categorical imperatives, with some of the undistracted certitude one feels in deciding what he will have for dinner, subject to the menu. Listener sponsorship makes possible this extremely productive balance of interests and initiatives. The fact that the subscription is voluntary merely enlarges the same point. We make a considerable step forward, it seems to me, when we use a system of broadcasting which promises that the mediocre will not survive. But the significance of what does survive increases in ways of the profoundest import to our times when it proceeds from voluntary action. Anyone can listen to a listener-sponsored station. Anyone can understand the rationale of listener sponsorship–that unless the station is supported by those who value it, no one can listen to it including those who value it. This is common sense. But beyond this, actually sending in the subscription, which one does not have to send in unless one particularly wants to, implies the kind of cultural engagement, as some French philosophers call it, that is surely indispensable for the sake of the whole culture. When we have a radio station fully supported by subscribers who have not responded to a special gift offer, who are not participating in a lottery, who have not ventured an investment at 3 per cent, but who use this means of supporting values that seem to them of basic and lasting importance–then we will have more than a subscription roster. It will amount, I think, to a new focus of action or a new shaping influence that can hardly fail to strengthen all of us. From “The Exacting Ear: The Story of Listener-Sponsored Radio, and an Anthology of Programs from KPFA, KPFK, and WBAI”, edited by Eleanor McKinney with a preface by Erich Fromm, published by Pantheon Books. Copyright 1966 by Pacifica Foundation. (d) In radio broadcasting operations to engage in any activity that shall contribute to a lasting understanding between nations and between the individuals of all nations, races, creeds and colors; to gather and dissemiate information on the causes of conflict between any and all of such groups; and through any and all means compatible with the purposes of this corporation to promote the study of political and economic problems and of the causes of religious, philosophical and racial antagonisms. * Article II Subsection (a) was amended March 6, 1971, filed April 9, 1971, and corrected amendment filed May 5, 1971. Pacifica was born in the late 1940’s out of the (now nearly forgotten) peace movement surrounding World War Two. Lewis Hill, a conscientious objector and Washington, D.C. newsman, was fired from his mainstream reporting job when he refused to misrepresent the facts. 1956 Pacifica wins its first broadcast awards for a program on the First Amendment by Alexander Meiklejohn and a children’s series of _Robin Hood_ by Chuck Levy and Virginia Maynard. 1957 Pacifica/KPFA wins its first George Foster Peabody Award for “distinguished service and meritorious public service” for programming that takes strong issue with McCarthyism. 1959 Pacifica begins its second station–KPFK-FM in Los Angeles–with Terry Drinkwater as General Manager. 1960-1963 The House Un-American Activities Committee (HUAC) and the Senate Internal Security Subcommittee (SISS) investigate Pacifica programming for “subversion.” Suspected writers include Bertolt Brecht, Norman Cousins, Carey McWilliams, Dorothy Healey, and W.E.B. DuBois. 1960 The Federal Communications Commission (FCC) requests a tape of a Pacifica broadcast of poet Lawrence Ferlinghetti that it found “in bad taste” with “strong implications against religion, government, the president, law-enforcement and racial groups”– and demands full information on Pacifica finances and governance. 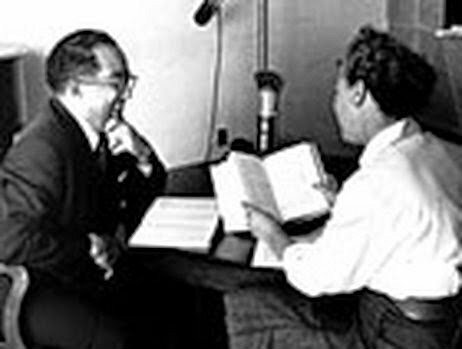 1961 KPFK wins Pacifica’s second George Foster Peabody Award for excellence in broadcasting. 1962 WBAI is the first station to publicly broadcast former FBI agent Jack Levine’s expose of J. Edgar Hoover and the FBI. The program is followed by threats of arrests and bombings, as well as pressure from the FBI, the Justice Department, and major broadcast networks. 1962 The FCC withholds the license renewals of KPFA, KPFB, and KPFK pending its investigation into “communist affiliations.” Pacifica was never ultimately cited in any of these or subsequent investi- gations. 1969 Pacifica is the only news organization willing to break Seymour Hersh’s story of the My Lai massacre. Hersh later wins the Pulitzer Prize for exposing the atrocities committed by U.S. troops in Vietnam. 1971 WBAI station manager Ed Goodman is jailed for refusing to turn over taped statements by rebelling prisoners at the “Tombs,” the New York City jail. 1973 Third World programmers at KPFA organize to demand a programming department with paid staff and control over some airtime. The station management opposes this effort and obtains a court order banning Third World project coordinator Jeff Echeverria from the KPFA premises. The Third World programmers file a challenge to KPFA’s license on grounds of discrimination in hiring practices. The lawyer representing them is David Salniker, later to become KPFA manager and Executive Director of Pacifica. 1974 In the summer, KPFA staff and programmers go on strike to demand more democratic decision-making process, the reinstatement of the fired Third World staff, and the firing of station management. After KPFA is off the air for one month, Pacifica agrees to most of the strikers’ demands. In the fall, KPFA formally creates the Third World programming department with a paid department head and control over some airtime. 1975 Comedian George Carlin’s “dirty words you can’t say on television” routine, broadcast by WBAI/New York in 1973, leads to several years of First Amendment litigation and a hearing by the U.S. Supreme Court. No sanctions are imposed, but the Carlin Case sets the limits of broadcasting for over a decade. 1976 In September, KPFA station manager Larry Bensky lays off two-thirds of the station’s paid staff in one of the many financial crises perpetually plaguing Pacifica stations. 1977 WPFW/Washington DC goes on the air, after winning a six-year competitive process for the last available frequency in the nation’s capital. 1977 Jack O’Dell becomes Chair of the Pacifica Foundation. 1982 Pacifica provides the only continuous live national coverage of one million people demonstrating for jobs, peace, and freedom in New York’s Central Park during the U.N. special session on disarmament. 1984 The U.S. Supreme Court rules in Pacifica’s favor that non- commercial broadcasters have a constitutional right to editorialize. 1985 Pacifica broadcasts its first editorial, condemning the apartheid South African government. Pacifica Chair Jack O’Dell calls upon U.S. citizens to bring pressure on the White House to cut all ties with South Africa on the 10th anniversary of the Soweto uprising. 1985 WBAI/New York organizes the now-annual Listener Action for the Homeless project to mobilize aid for New York’s homeless. 1986 The National Federation of Community Broadcasters (NFCB) radio archives are consolidated with Pacifica’s, making the Pacifica Radio Archive 30,000 tapes strong. 1987 Pacifica’s coverage of the Iran-Contra affair is carried by 33 stations and wins two national journalism awards. 1989 The Pacifica Radio Archive completes restoration of 7,000 one-of- a-kind recordings from the early 1950s and 1960s in conjunction with Pacifica’s 40th anniversary. 1990 Pacifica’s ongoing coverage of the preparations for and conduct of war in the Persian Gulf reaches listeners on dozens of public stations throughout the country. 1991 Pacificia leads a coalition with PEN, Allen Ginsberg and broad- casters opposing Senator Jesse Helms’ (R-NC) and the FCC’s 24-hour ban against “indecency” on radio. The Court of Appeals agrees with Pacifica and sets the ban aside as unconstitutional. 1992 KPFA’s Flashpoints program, headed by Dennis Bernstein, becomes the third-most-popular program on the station (after the Morning Show and the Evening News). Flashpoints evolved from the daily Persian Gulf War update program. 1993 CPB Board member Victor Gold calls for de-funding Pacifica, echoing lobyying campaign orchestrated by right-wing media critics. In a unanimous vote, CPB reaffirms Pacifica’s funding irrespective of program content. Senate Minority Leader Robert Dole (R-KS) threatens public broadcasting with Congressional revenge, his aide explaining: “The First Amendment, freedom of speech, doesn’t apply, because we are able to put conditions on the grants of federal money. The same as we do for farmers.” Pacifica launches a campaign for unconditional funding and self-defense, led by a tremendous outpouring of “fightback donations” from listeners nationwide. CPB funding narrowly escapes cuts in the House of Representatives, with program content the driving issue. A lobbying effort keeps Pacifica funding off the Senate agenda. This is the second year in which Pacifica has received no discretionary funding from CPB (only the matching funding based upon listener contributions). 1993 Amy Goodman, WBAI News Director and co-anchor of WBAI’s Morning Show, wins the following awards for the program “Massacre: The Story of East Timor”: Robert F. Kennedy Memorial Award for International Reporting; Unda-Gabriel Award for Nationally Distributed News and Information; Radio & Television News Directors Award; and the Unity in Media Award from Lincoln University. 1993 The CPB Silver Award for Children’s and Youth Programming goes to “Youth in Control,” the two-hour live radio magazine of Executive Producer Ellin O’Leary’s Youth Radio Project, produced weekly in KPFB-FM studios. This two-time CPB Award-winning program is a show produced by teens for teens, a project recruiting low income and minority youth, providing training in all aspects of news and music programming, and featuring live weekly Pacifica broadcasts and special pieces on KQED-FM, NPR, Monitor Radio and Inner City Broadcasting. 1993 San Francisco Foundation Executive Director Robert Fisher selects KPFA/Pacifica for the San Francisco Chronicle’s feature, “How To Spot a Charity That Deserves Support: Pros Pick Notable Nonprofits” (November 22). March, 1994 Pacifica Radio wins a Commendation Award from the American Women in Radio and Television for “Audre Lorde: A Burst of Light”, a documentary about the African American poet, essayist, and feminist Audre Lorde, produced by Jude Thilman, Ginny Berson and Melanie Berzon. September, 1995 Pacifica Network News Director Julie Drizin travels to China to cover the United Nations’ Fourth World Conference on Women in Beijing, where she files daily audio reports via computer, bypassing any potential censorship by Chinese authorities. Pacifica was the first public radio network in the U.S. to send international reports via the internet. March, 1996 Pacifica Executive Director Patricia Scott, News Bureau Chief Julie Drizin and the Pacifica Radio Network are named one of the “Top Ten Media Heroes of 1996” by the Institute for Alternative Journalism “for tough, creative and unrelenting efforts in a time when alternative viewpoints and independent voices in the media have never been more vital. 1997 Pacifica names its new national board chair, Mary Francis Berry, and says farewell to long-time chair, Jack O’Dell. According to former PNB member Ken Ford the Pacifica crisis was precipitated in February 1999 when the PNB, then chaired by US Civil Rights Commission head Mary Francis Berry, voted unanimously to make changes in the governing structure of the Foundation. PNB members said they were being forced to comply with rules of the Corporation for Public Broadcasting. The CPB had told Pacifica that the PNB had to sever ties with the Local Advisory Boards of the five Pacifica stations (KPFA, KPFK, KPFT, WBAI, WPFW) to stay eligible for CPB funding. Although largely supported by listener subscribers a significant portion of Pacifica’s funding is provided through the CPB. According to Ford their was a “huge uproar” that the PNB had become “self appointing” and had taken control from the LABs. However, Ford states, as do many other former PNB members that the LABs never had management control over Pacifica or its stations. 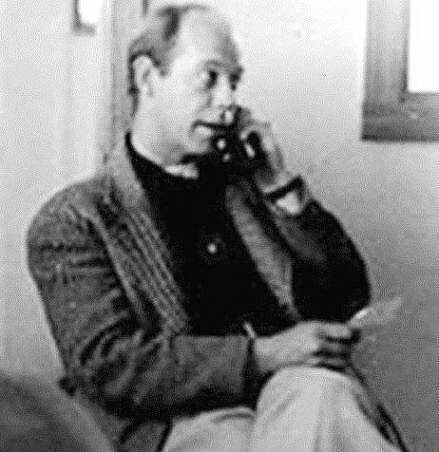 Speaking on the WBAI program Let’em Talk on April 16, 1999 Larry Bensky stated that he believes that the crisis at KPFA began when former Pacifica National Director Lynn Chadwick refused to renew KPFA General Manager Nicole Sawaya’s contract. Bensky says Chadwick forced KPFA to play a statement on the air Chadwick claimed was intended “to clear the air.” Bensky asserts that “she made statements about me in that three-minute harangue which she ordered broadcast several times on KPFA.” Bensky says when it came time to do his program, which was then broadcast nationally, he played the Chadwick tape and then discussed internal station business on the air in violation of the Pacifica’s “dirty laundry” policy. Bensky says his on-air statement was “about how concerned I was as a person who’s been with the organization longer than just about anyone, about what I saw as more top down authoritarian behavior and wasteful, self-perpetuating bureaucracy.” A few days later Bensky was fired. The Pacifica crisis is a complex series of events with various facets and numerous players. At the heart of the problem are years of erroneous assumptions about the future of public radio and a lack of strong competent leadership. That’s allowed many individual Pacifica programmers to gain power in the organization without being held accountable for their decisions and actions. The result has been a near disaster that threatens the very existence of the nations only progressive broadcast network. Here is a timeline of events at the Pacifica Foundation and the actors responsible according to former and current members of the Pacifica National Board. Some quick background for the Pacifica challenged who might not be following the internecine feuding within the nations largest and oldest listener sponsored radio network. Pacifica was founded in 1949 in Berkley by World War 2 conscientious objector and visionary Lew Hill. The network added New York radio station WBAI in 1960 and stations in Los Angeles, Washington DC and Houston in the 60s and 70s. Pacifica reached its peak in listeners and influence during the Vietnam War era. Besides peaks in listeners during the Gulf War and the Iran-Contra scandal hearings the network has been a shadow of itself ever since. In the mid 90s a new Board of Directors tried to influence the stations towards building an audience running into stiff opposition from long entrenched power groupings within the Foundation. As usual with Pacifica the fights began under cover, but soon spilled out onto the air through various disgruntled programmers. There was no single dispute, rather a collection of disputes that eventually congealed into two irreconcilable camps of former friends and colleagues. Attempts by the PNB to control the airing of “dirty laundry” were soon characterized by their opponents as “censorship” beginning a long very public slide by the Foundation into chaos. 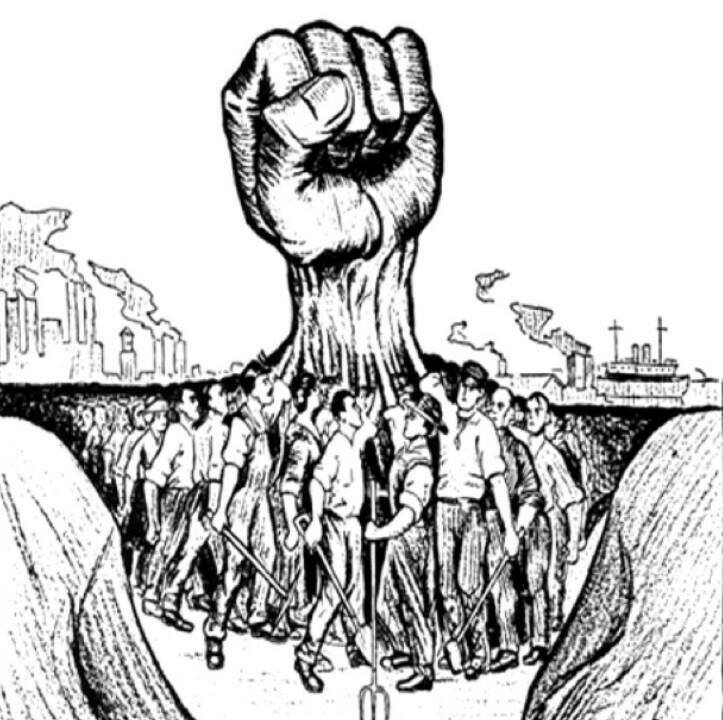 Also WBAI had an unusual arrangement with its former union, the leftist United Electrical workers which allowed WBAIs 200 unpaid volunteers to be union members along with the stations 25-30 regular employees. 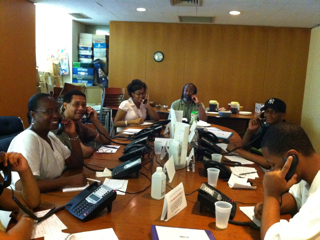 WBAI management under Van Isler had challenged the idea of a union for volunteers. Eventually Pacifica won a National Labor Relations Board decision banning unpaid people from the union. 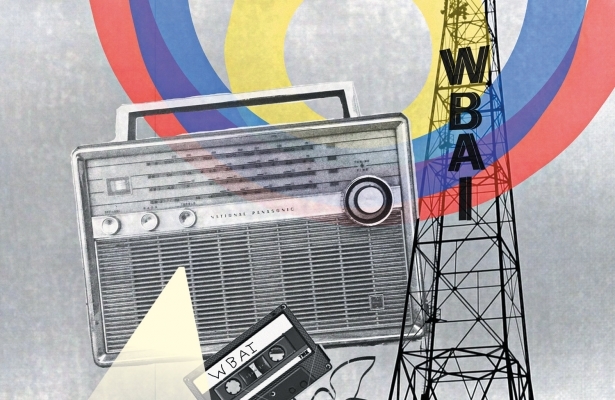 When WBAI employees reached out to the American Federation of Radio and Television Artists (AFTRA) this caused panic among programmers fearing that those shows that couldn’t raise money for the station would now be in danger. But WBAI employees were also upset that under UE they hadn’t gotten a raise or a new contract since 1992. 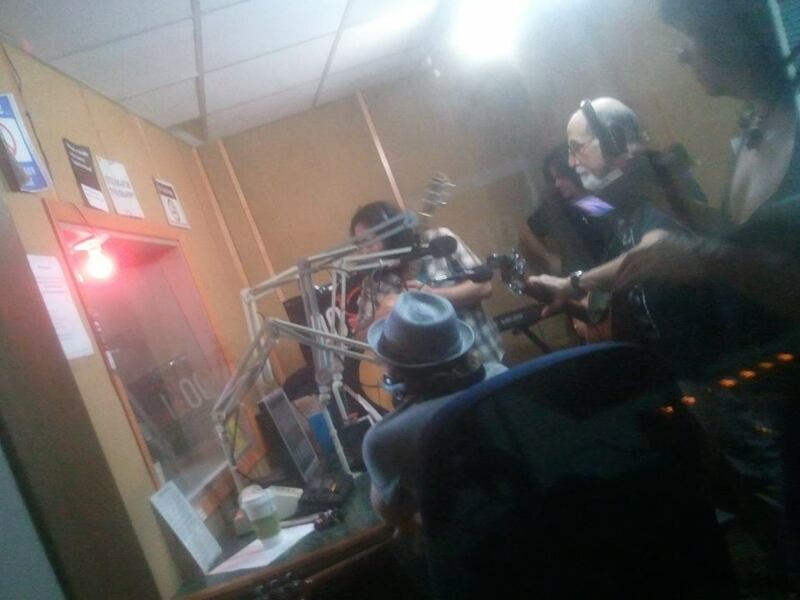 These events set the stage for the internal dispute at WBAI. Leid’s hiring and the lock out of several WBAI managers and some of their close associates in December 2000 set in motion the protest movement that eventually forced the resignation of the PNB more than a year later. It was a fight marked by invective, threats and some violence as a national movement spearheaded by Amy Goodman and Juan Gonzalez gained momentum. Eventually several lawsuits against Pacifica were settled in a California state court. The settlement agreement formed an interim Pacifica National Board with members from each faction. It wasn’t long before the Goodman faction was in power, electing New York activist Leslie Cagan chair of the iPNB. Some say a “bloodbath” of managers and anyone who supported the old regime is continuing. More than 20 people, including managers and employees have been fired or laid off at Pacifica so far this year including the entire Pacifica Network News, the only other national Pacifica program besides Democracy Now. One former PNN staffer, Patricia Guadalupe calls it “21st Century McCarthyism*,” and many agree that there has been a purge at Pacifica. The following is the story in the words of those who believe they are the victims of the purge. 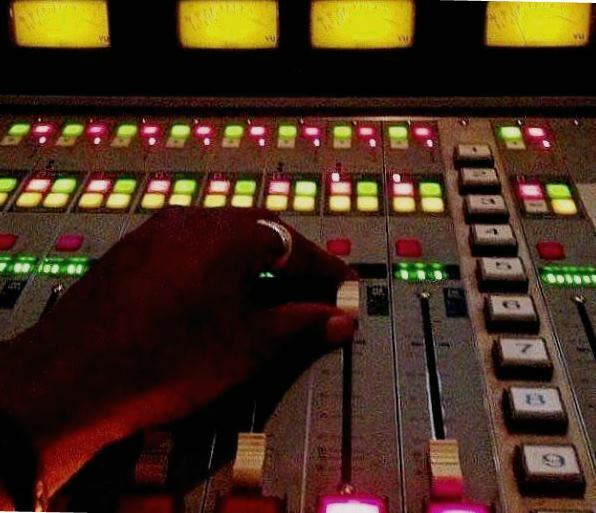 I am writing this to make certain that there is no misunderstanding about the action taken by the Pacifica Board last night regarding the AFTRA bargaining unit at Pacifica’s WBAI radio station in New York. It is my understanding that in a vote last night, the newly constituted Pacifica Board essentially revoked the decision of WBAI employees to have AFTRA as their exclusive representative. This vote occurred even though the Pacifica Foundation has already recognized AFTRA as the bargaining agent for WBAI employees. If this is the case, the Pacifica Board has committed blatant unfair labor practices by violating various provisions of the National Labor Relation Act. Unfortunately, the Board’s actions will result in AFTRA taking immediate legal action to insure that the collective rights of employees are both respected and protected. The Board’s action is particularly troubling in light of Pacifica’s proud history—up until now—of supporting organized labor. In order to avoid an unnecessary and costly legal battles over the Board’s illegal action, AFTRA requests that the Board take immediate steps to ensure that the collective rights of AFTRA represented employees are enforced and that Pacifica fully comply with its legal obligations under the National Labor Relations Act. This can be done by signing the attached. A right-wing web site, but Yardley’s a good writer with valuable insights into the Pacifica mess..